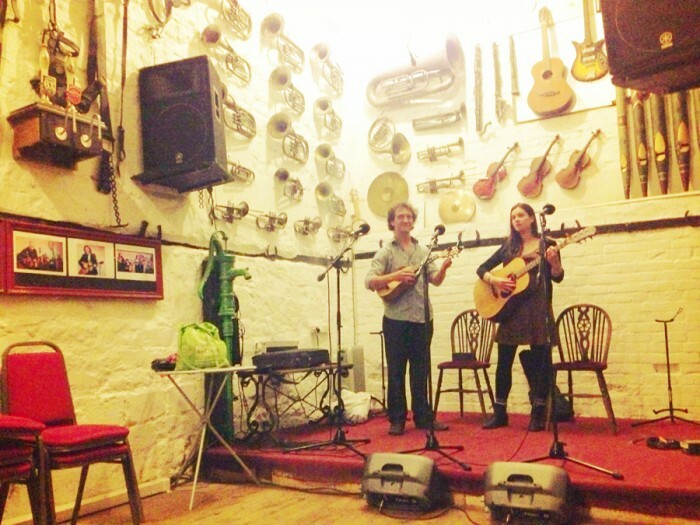 Tim Graham and Robin Grey love singing and cycling – Pedal Folk is their cunning attempt to combine the two. Tim has a “innovative and immaculate” guitar style that has been compared to Bert Jansch, Nic Jones and Martin Simpson, Robin’s “calmly exquisite mannerisms seem to bring you back to a simpler time and place”. On their first two tours of Somerset, Wiltshire, Gloucester and Oxfordshire in April and August 2013 they were joined by Katie Stone Lonergan, a violinist from Galway who has recorded with the Proclaimers and toured Europe extensively. In 2014 they were joined by Canadian violinist Chance Kellner for a musical recreation of the trip made by Edward Thomas in his book ‘In Pursuit Of Spring’ in 1913 from London to Somerset. 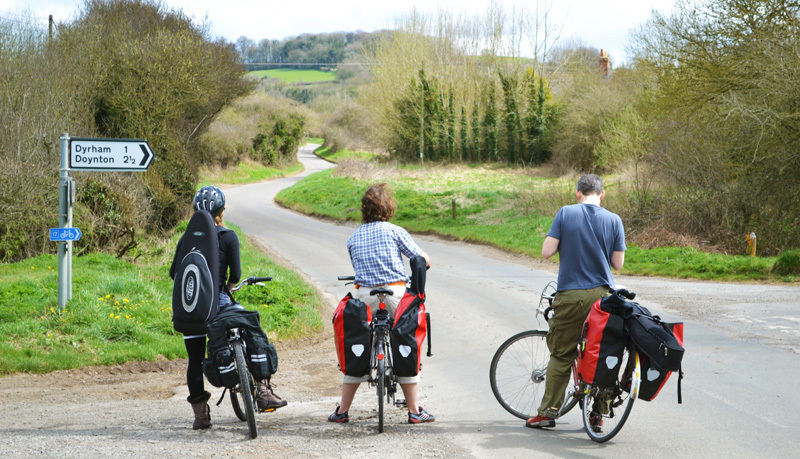 In 2015 Naomi Wilkins on flute and Clarissa Carlyon on cello were added to the line up to form a Pedal Folk orchestra!